Be Aware Hacker - Honeypots now in India trap to lure hackers ! Decoys have been present in each and every culture, to capture the unknown as well as the known defaulters. The honey, which was used in turning the heads of bears that we used to find in jungles, well the same honey, but in a revisited version is being implemented and used here and has already proven worthy of its existence. 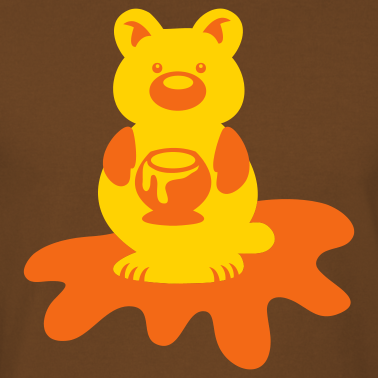 This type of honey lures in a different kind of bears. The bears those are present in the cyber jungle. Yes, we are talking of the black hat hackers which are hell bent on intruding your file systems and scratching out info. So, we are now going to discuss this very new and amazing feature, which only a few of the countries in world stand to have, including ours. Explaining with examples is always easy. Recently, a very famous Turkish hacker was busted using these techniques of Honeypot. The hacker was supposed to have the reputation of breaking into all the major sites of the fortune 500 repute. Yet, he also tried to venture into the space of our very own friend Google, who eventually has laid down a trap in the form of a Honeypot to capture this vicious criminal. So, exactly a Honeypot is something like, the website, creates a vulnerability on the net, and lures in the attackers to hack using that same vulnerability. But, it actually is not a real vulnerability, but a pathway created so that the attacker may enter through it and directly all his system info, including his physical location can be targeted without him knowing that it may be a trap. These types of traps are generally called Honeypots. Indian government has also got Honeypots on most of its major sites. These sites have been severely under the target of the Pakistani cyber army as well as their defences, who have very confidently written on their website about the Honeypot problems which prevent them from entering the secure, and classified space of Indian cyber net. Speaking of the Gujarat government, which has impressed us upon its recent developments in IT industry, considering its e-governance options, which we had seen last time, this government also, has its own Honeypot which is quite operational and has been in work for the government. Honeypots in general are very useful and also can be used in your intranet security solutions. These are used in many other ways to find intrusions, the number of attacks that a website suffers, as well as it can be used for nabbing those black hat hackers, which use software and malwares that can destroy precious data.